[SatNews] Globalstar, Inc., (NYSE MKT:GSAT) has revealed that Lockheed Martin Flight Service (LMFS) will integrate and provide automated position monitoring for VFR (Visual Flight Rules) flights. Using a SPOT Gen3® or a SPOT Trace®, GPS tracking reports are generated and forwarded to LMFS. The system keeps track of the aircraft and, if the aircraft stops moving or stops sending position reports, an alarm is triggered immediately at LMFS. 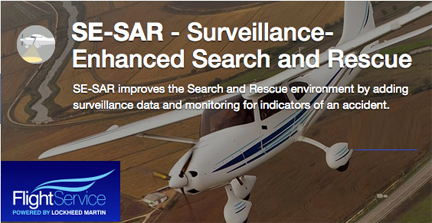 The aircraft's most recent GPS coordinates are available to be forwarded to Search and Rescue (SAR) authorities, significantly narrowing the search radius and providing faster SAR response. The SPOT Gen3 also features an SOS button that can send an instant distress message along with GPS position information to GEOS International Emergency Response Coordination Center, immediately initiating SAR operations. SPOT is exhibiting at EAA July 20-26 at Booth 3000. Stop by to learn more about this collaboration and how to score a free SPOT device. "Now integrated into our Surveillance-Enhanced Search-and-Rescue services are SPOT devices," said Jim Derr, Director, Lockheed Martin Flight Service. "Pilots will be able to leverage additional tracking and rescue services that are crucial to their flight planning." Jake Rembert, Vice President of Sales at Globalstar, said, "Our units have helped initiate over 3,500 rescues worldwide, which has included aviation rescue operations. Being able to get help fast in the event of an emergency is critical and we offer friends and family on the ground peace of mind by knowing where you are."